Can’t you feel the love? This is the kind of peace that the BDSers and “moderate” Palestinians want. A desire for all Jews in Israel to rot in hell. And, no, she isn’t antisemitic in the least. She just believes that every other people can have a state but the Jews. From the Facebook page of Rima Najjar, an American-educated retired professor of English literature at Al-Quds University now living in Bloomington, Indiana. Palestinian factions launch biggest assault in years amid soaring frustration over crippling 12-year Israeli siege. 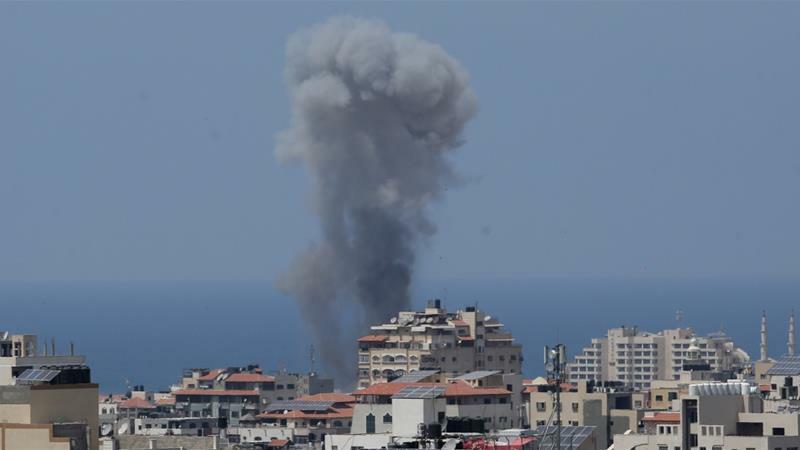 Israeli warplanes on Tuesday hit more than 35 targets belonging to Hamas and Islamic Jihad, according to Israel’s military. The strikes came after the Israeli army said Palestinian fighters were behind a “barrage of projectiles” fired from Gaza into southern Israel. The firing of the rockets and mortars came as Islamic Jihad vowed to take revenge after a deadly attack against its members last week. Vessel attempting to break 12-year blockade as part of “Great Match of Return”. A vessel carrying Palestinian Arabs patients, students and activists attempted on Tuesday to break Israel’s imposed boundary off the coast of the Gaza Strip with the intention of reaching Limassol in southern Cyprus. The strategy is famed. If you can’t beat your opponents on the military field, or with facts, beat them with the law. The strategy is an axiom of the Palestinian Authority PA. Having finished the commemoration of Nakba (Catastophe) day on May 15, the day in 1948 when five Arab armies tried but failed to destroy the State of Israel created a few hours earlier, the PA is continuing the battle by the weapon of international law. Along with several other European countries, France has strongly opposed America’s decision to relocate its embassy to Israel’s capital. To support its position, Paris has claimed, on the basis of various UN resolutions, that international law militates against recognizing Jerusalem as the capital of the Jewish state. These legal claims, are muddled—at best.